During 2018, we successfully stabilised the business, delivering a strong operational performance across all three mines and returning the Company to free cash flow generation in the second quarter which was then sustained throughout the second half of the year. Despite an increasingly challenging operating environment, as announced previously, the Company was able to achieve gold production of 521,980 ounces in 2018, substantially ahead of the initial production guidance of 435,000 to 475,000 ounces for the year. We maintained a strong cost discipline across the group achieving an all-in sustaining cost of US$905 per ounce sold, well below the full year guidance range of US$935 to US$985 per ounce. At the same time our cash balance increased by US$50 million to US$130 million due to the strong operational performance and the sale of a non-core royalty for US$45 million to end the year with a net cash balance of US$88 million. This compares favourably to 2017 when the cash balance fell from US$318 million to US$81 million at year-end, due to lost revenue resulting from the concentrate ban and a gross build-up of VAT receivables of US$91 million. These achievements are a testament to the sheer resilience, hard work and determination of all of our people within the Acacia Group. Our North Mara mine continued to perform well, achieving full year production of 336,055 gold ounces, 4% higher than 2017, and benefited from the higher grade ore received from the eastern part of the Nyabirama open pit. AISC of US$866 per ounce sold was 8% higher than 2017, primarily due to higher cash costs and sustaining capital costs. We achieved full year gold production at our Buzwagi mine of 145,440 ounces which, although 46% lower than in 2017, was ahead of expectations due to the extended mining of the final cut of the higher grade ore at the bottom of the pit and switchbacks, combined with the better than expected performance of the processing plant with improved throughput and recoveries. AISC per ounce sold of US$977 was 46% higher than 2017, mainly driven by the transition to processing lower grade stockpiles which drove higher cash costs. Our Bulyanhulu mine remained on reduced operations throughout the year but was able to achieve gold production of 40,485 ounces from the retreatment of tailings. AISC per ounce sold of US$786 was 43% lower than 2017 driven by reduced operating and capital spend, partly offset by the lower production base. The operating environment became increasingly challenging for Acacia last year, culminating in October 2018 when criminal charges were brought by the Government of Tanzania (“GoT”) against the Group’s operating subsidiaries in Tanzania and three current Acacia employees and a former employee. Each of the companies and the three current employees and the former employee deny the allegations and are defending all charges. The Company notes with concern that three of those charged continue to be held in jail under non-bailable offences. Acacia continues to await a detailed proposal agreed in principle between Barrick and the GoT for a comprehensive resolution of Acacia’s disputes with the GoT. During 2018, Acacia paid a total of US$127 million in taxes and royalties in our host country of Tanzania. We also continued to invest in our Sustainable Communities Strategy with the aim of contributing to the development of “sustainable communities” around our mines in order that they enjoy a thriving local economy, have access to social infrastructure and live in a safe and inclusive environment in line with the Tanzania Development Vision 2025 as well as the United Nations’ Sustainable Development Goals. To this end, during the year Acacia continued its US$1 million investment in the Bugarama Health Centre near Bulyanhulu, while construction began on a 55-kilometre pipeline to carry water from Lake Victoria to 100,000 residents in the Lake Zone which is due to be completed in mid-2019. Construction of the Nyamwaga Health Centre at North Mara was completed in April while, at Buzwagi, we also began the development and implementation of a three-year US$1.1 million agricultural improvement project in partnership with Farm Concern International (“FCI”). One of the key focus areas at Acacia over the last five years has been the implementation of our Tanzanian localisation strategy. In 2018 we progressed a number of strategies within our Supply Chain function with a view to further increasing our annual spend with Tanzanian-owned businesses to reach the goal of US$140 million by early 2019. We have also continued to focus on reducing the number of international employees and contractors within our business and ensuring that our Tanzanian assets are increasingly led and operated by Tanzanian employees. Looking ahead to 2019, we are highly encouraged by the provisional outcomes of the Bulyanhulu optimisation study which is due to be fully completed by the end of the first quarter of the year. Assuming the ability to economically produce and sell gold in concentrate and a successful resumption of underground mining operations, the outcomes of the study indicate that further capital investment of around US$120 to US$140 million could deliver an expected life of mine of 18 years with an average steady state production rate of 300,000 to 350,000 ounces per year at an AISC of US$700 to US$750 per ounce. This is subject to further detailed work on cost estimates and a project schedule, while a final decision to resume underground mining operations and make necessary further capital investments would be dependent on achieving a comprehensive settlement with the GoT. We anticipate a pre-production start-up period of 12-18 months until first gold production followed by approximately two years to ramp up to full production from the underground mine. The Group’s Mineral Reserves decreased from 7.5Moz to 5.2Moz of contained gold during the year with exclusive M&I Mineral Resources decreasing from 7.7Moz to 5.6Moz and Inferred Mineral Resources decreasing from 12.2Moz to 10.1Moz. This was primarily driven by the provisional outcomes of the optimisation study conducted at Bulyanhulu in conjunction with a comprehensive review of the geological and resource models including applying tighter drill spacings and enhanced stope optimisation techniques. A focused drilling programme has been designed in conjunction with the optimisation study, targeting the higher value zones and planned to commence after a decision to resume underground mining operations. Given our historic conversion rate, we have a high level of confidence that the planned drilling programme will continue to convert Mineral Resources to Mineral Reserves and mineralised inventory into Mineral Resources. Safety performance during 2018 demonstrated significant progress on the previous year. The Company recorded a Group-wide Total Recordable Injury Frequency Rate (‘TRIFR’) of 0.19, compared to 0.45 in 2017, a 58% improvement. There was a significant reduction in the number of recordable injuries from 45 in 2017 to 13 in 2018. The number of Lost Time Injuries (LTI) also decreased from 18 in 2017 to four in 2018, a 78% improvement, while the severity of injuries decreased by 46%. However, regrettably, on 11 June 2018, Sadock Crispin Tindahenile, an operator for one of our contractors at North Mara, passed away as a result of an accident which involved a reversing vehicle at the Gokona deposit. We completed an investigation into the incident and have implemented the relevant recommendations at all our operations. We continue to target zero injuries and remain committed to every person going home safely every day. Our guidance for 2019 assumes a continuation of the current operating environment with Bulyanhulu remaining on reduced operations (‘ROP’), Buzwagi continuing to process stockpiles until early 2021 and North Mara fully operational. On this basis, we expect 2019 production of 500,000-550,000, with production ramping up slightly in the second half of the year as North Mara comes closer to the main ore zone at the Nyabirama open pit, at an all-in sustaining cost of US$860-920 per ounce with cash costs of US$665-710 per ounce. These are all broadly in line with 2018 levels. All gold produced in 2019 is expected to be in doré form. At North Mara we expect production to be around 10% higher than 2018 at approximately 370,000 ounces. The Nyabirama open pit is expected to deliver increased ore volumes at high grades as we gain access to the main ore zone in cut 4 while we also expect positive grade reconciliations at Gokona underground. AISC is expected to be approximately 10% lower than 2018 at around US$790 per ounce sold, driven by the higher production base and lower cash costs as a result of the higher grades in the open pit, offset by an increase in sustaining capital expenditure following the deferral of 2018 capital projects which are now expected to be completed in 2019. We are also undertaking a pre-feasibility study for an underground mine beneath the Nyabirama open pit. This is expected to be completed in mid-2019. We expect Bulyanhulu to remain on reduced operations and to continue to reprocess tailings at a monthly reduced operations cost of approximately US$2 million. These costs are excluded from AISC on the principle that they are not representative of sustaining operational costs. Acacia is finalising an optimisation study which is designed to ensure that when underground mining operations can resume, the mine will operate in an optimised manner. The current stage of the study is expected to be completed by the end of Q1 2019. The mine will continue with the reprocessing of tailings through 2019 at an annual production rate of approximately 35,000 ounces and an AISC of approximately US$790 per ounce, which will partially offset the cost of reduced operations. Buzwagi will continue to process stockpiles through 2019 and until mid-2021. Following completion of the mining of the final cut at the bottom of the pit in Q1 2019, the mill feed will be exclusively from stockpiles. Production for 2019 is expected to total approximately 115,000 ounces. As a result of the lower production and release of non-cash high cost inventory of approximately US$285 per ounce, reported AISC in 2019 is expected to increase to approximately US$1,140 per ounce sold. We expect to see Group capital expenditure in 2019 fall to approximately US$75-85 million compared to US$93 million in 2018. This will be comprised of approximately US$65 million of capitalised development costs and sustaining capital, primarily at North Mara and US$15 million of expansion capital. Capital expenditure at North Mara is expected to be notably lower than 2018 due to the cessation of deferred stripping as a result of a lower strip ratio from the increased ore volumes expected to be mined in the Nyabirama open pit, partly offset by higher sustaining capital expenditure following significant deferrals during 2018, increased capitalised underground development costs and additions to expansion capital which focuses on the Gokona and Nyabirama in-fill and extensional drilling programmes combined with the Nyabirama pre-feasibility study. Bulyanhulu’s total capital expenditure incorporates critical sustaining capital requirements for the TSF retreatment operations and water management pond upgrades as well as expansion capital for the optimisation study costs and asset integrity work on the main process plant. Buzwagi is expected to incur limited sustaining capital during 2019 as it nears the end of its mine life. Following the exploration portfolio review carried out in 2018, we expect a reduced exploration budget of approximately US$10 million in 2019 compared to US$13 million in 2018. In line with the results of the portfolio review, we expect to focus this spend on our targets in West Africa and with further work on the Liranda scoping study which will mainly focus on a review of the mining methods in Kenya. We are committed to continuing our focus on strong cost discipline in 2019. To this end we are targeting corporate administration costs in the region of US$18-20 million for the year ahead compared to US$24 million in 2018. We are also expecting to incur legal costs of approximately US$18-22 million relating to the ongoing disputes with the GoT, Barrick negotiations, historical tax disputes and arbitration proceedings compared to legal costs of US$28 million in 2018. Barrick and the GoT continued their discussions in 2018 aimed at agreeing and documenting the details of the proposed framework they announced in 2017. Barrick announced on 25 June 2018 that it was no longer providing a timetable for the completion of its discussions with the GoT. Acacia has continued to provide support to Barrick in its discussions with the GoT, but has not been directly involved in those discussions to date. Acacia has not yet received a detailed proposal agreed in principle between Barrick and the GoT for a comprehensive resolution of Acacia’s disputes with the GoT. Acacia continues to engage with Barrick to understand and support Barrick’s plans for the next steps in its direct discussions with the GoT. On 24 September 2018, Barrick and Randgold Resources (“Randgold”) announced their intention to merge and, following successful shareholder votes, the merger completed on 2 January 2019 with Randgold’s CEO, Mark Bristow, becoming CEO of the new Barrick group. Any proposal received by Acacia in the future for a comprehensive resolution of the Company’s disputes with the GoT that might be agreed in principle between Barrick and the GoT as a result of any such future discussions will be subject to review by the Independent Committee of the Acacia Board of Directors. In 2018, and particularly during the final quarter of the year, the operating environment became increasingly challenging for Acacia with criminal charges brought by the GoT against three group companies as well as three current Acacia employees and a former employee, three of whom continue to be held under non-bailable offences. On 10 October 2018, one of the Group’s employees in Tanzania, a South African national, was charged by the Tanzanian Prevention and Combating of Corruption Bureau (“PCCB”) with an offence under the Tanzanian Prevention and Combating of Corruption Act. The employee pleaded not guilty and was granted bail. The charges related to the historical activities of a Land Task Force (“LTF”) conceived and agreed between the GoT and North Mara Gold Mine Limited (“NMGML”) in 2012 to create a transparent, safe, fair and inclusive process for valuing land that might be purchased by agreement around the North Mara mine, and which operated between 2013 and 2015. The allegations made by the PCCB are denied and the charges are being defended by the employee. On 17 October 2018 a current and a former employee of the Company’s Tanzanian businesses, together with three individual companies, were charged by the PCCB with a number of different offences, including breaches of the Tanzanian Anti-Money Laundering Act. A total of 39 charges were brought, either against the current and former employee and/or against one or more of the Company’s operating subsidiaries in Tanzania, Pangea Minerals Limited (“PML”), Bulyanhulu Gold Mine Limited (“BGML”) and NMGML, as well as a Canadian company, Explorations Minieres du Nord Ltd. On 23 October 2018, a senior manager of one of the Company’s Tanzanian businesses, a Tanzanian national, was also arrested and charged by the PCCB. The senior manager was charged as an additional accused to some (but not all) of the 39 criminal charges brought by the PCCB on 17 October. The Company notes with concern that under Tanzanian law, offences under the Anti-Money Laundering Act are not bailable, and, accordingly, the accused have not been released on bail. The majority of the 39 charges and allegations brought by the PCCB on 17 October appear to relate to the historical structuring and financing of PML, BGML and NMGML dating back as far as 2008, prior to the creation of the Acacia Group. The charges are wide ranging and include: tax evasion; conspiracy; a charge under organised crime legislation; forgery; money laundering and corruption. The great majority of the allegations in the criminal proceedings by the GoT relate to matters already being considered in the arbitrations commenced by BGML and PML in July 2017 regarding their disputes with the GoT under their respective Mineral Development Agreements, which are progressing towards a hearing and in which the GoT are fully participating. The criminal allegations and charges against the group and current and former employees are denied and are being defended. In addition, on 17 December 2018 the Company issued a news release noting media speculation claiming a UK Serious Fraud Office (“SFO”) investigation into the Company. The Company confirmed that it was not aware that the SFO was investigating the Company, but that the Company had been in contact with the SFO about the allegations of corrupt activities which are the subject of criminal proceedings in Tanzania. This position remains unchanged. The Company has provided information to the SFO and will continue to do so, but has not been notified that the SFO has commenced a criminal investigation. Post year-end on 10 January 2019, the North Mara mine received an Environmental Protection Order (“EPO”) from the National Environment Management Council (“NEMC”) requiring payment of a fine of US$130,000 in relation to alleged breaches of environmental regulations in Tanzania. NEMC’s reported findings allege discharges of a hazardous substance at the North Mara mine. The Mine has still not received any supporting reports, findings or testing data in relation to the matters set out in the EPO and continues to assess the technical basis of the alleged non-compliances. The Mine is also awaiting NEMC’s detailed reports, findings and testing data in relation to the allegations but is not aware of any such discharge. Acacia believes that the reports and allegations relate to a longstanding seepage issue at the base of the TSF, which was already well known to NEMC and the GoT. This seepage remains managed by pumps which return the water to the TSF and it is, therefore, contained on the mine site, does not flow into the surrounding environment or present a risk of contamination to any public water source. Pending further factual clarification from the GOT and NEMC, however, and to dispose of all regulatory or other legal action, NMGML has decided to pay the fine. At the same time, the GoT also issued a directive to the North Mara mine to construct a new Tailings Storage Facility (“TSF”). The Mine had already recognised the need for additional tailings management and storage capacity to meet its life of mine plans and, while the Company does not yet have detailed or fully costed plans or project schedules for the construction of a new facility, Acacia expects that a new TSF is likely to be an economically viable alternative to further expansions of the existing TSF at North Mara. A negotiated resolution remains the preferred outcome to the Company’s on-going disputes with the GoT. In 2017, Bulyanhulu Gold Mine Limited (“BGML”), the owner and operator of the Bulyanhulu mine, and Pangea Minerals Limited (“PML”), the owner and operator of the Buzwagi mine each referred their current disputes with the GoT to arbitration in accordance with the dispute resolution processes agreed by the GoT in its Mine Development Agreements with BGML and PML. The commencement of arbitration by BGML and PML was necessary to protect their respective rights and interests and to promote a sustainable resolution of disputes. These contractual arbitration processes have continued through 2018, with a number of necessary procedural steps and with the GoT fully participating, including service of its defence in October 2018. Most of the criminal charges brought by the Government against Group companies and the Group’s current and former employees to date relate to matters which the Government has sought to introduce into these existing contractual arbitrations with the GoT. The international arbitration claims are progressing. The hearings are scheduled for the beginning of Q3 2019 and we expect the Tribunal’s findings to follow in the later stages of the year. We remain committed to paying all applicable taxes and royalties to the Tanzanian Treasury as well as to supporting efforts towards the country’s socioeconomic advancement, including the realisation of the Government’s Development Vision 2025. Since the inception of its businesses, over 15 years ago, the Acacia Group and its predecessors have invested over US$4 billion to build and sustain its mines and paid over US$1.3 billion in taxes and royalties. We have also spent over US$3 billion with Tanzanian suppliers to support the operation of our businesses and, since 2010, invested over US$92 million in our communities. During 2018 alone, Acacia paid a total of US$127 million in taxes and royalties to the GoT. This comprised provisional and final corporate tax payments for the year of US$42 million, royalties of US$51 million, payroll taxes of US$24 million and other taxes of US$10 million. Acacia’s Sustainable Communities Strategy aims to contribute to the development of “sustainable communities” around its mines in order that they enjoy a thriving local economy, have access to social infrastructure and live in a safe and inclusive environment achieved through strong and transparent relationships with our businesses. The strategy focuses on education, health, water, roads, energy, and various economic development activities and is aligned with the Tanzania Development Vision 2025 as well as the United Nations’ Sustainable Development Goals. During 2018 Acacia continued its US$1 million investment in the Bugarama Health Centre near Bulyanhulu and supported the construction of a surgical theatre, general and specialised maternity wards, an outpatient department, and mortuary facilities. The health centre currently provides care for 58,000 people living in the 14 villages in Kakola and its surrounding areas. Upon completion in 2019, the centre could, potentially, be designated as a district referral facility and would then cater for over 100,000 community members. At North Mara the construction of the Nyamwaga Health Centre was completed in April 2018. The centre boasts critical medical infrastructure including a surgical theatre, pharmacy and a maternity ward, as well as staff housing and rainwater harvesting tanks. Since its renovation, the health centre can treat 60% more patients (800 each month) thanks to the wider availability of services. Besides the development of crucial infrastructure, North Mara conducted its annual eye screening initiative which has seen over 3,000 patients tested annually and the distribution of free spectacles. During the year North Mara also partnered with the Medical Women Association of Tanzania (MEWATA) for breast and cervical cancer awareness and testing for women reaching over 1,200 women. At Bulyanhulu construction began on a 55-kilometre pipeline to carry water from Lake Victoria to 100,000 residents in the Lake Zone. Under the Joint Water Project Partnership (JWPP) the company is investing around US$2 million to provide vital water supply and sanitation services to local communities. The pipeline will pass through 14 villages located in the vicinity of the mine and is scheduled to be completed in mid-2019. At Buzwagi, we began the development and implementation of a three-year US$1.1 million agricultural improvement project in partnership with Farm Concern International (“FCI”). Agriculture is an important economic mainstay for our local communities around Buzwagi and the project seeks to substantially increase farmers’ incomes through greater productivity and improved links to market. An independent report released by Ernst and Young during 2018 demonstrated the significant contribution that Acacia’s three mines continue to make to Tanzania’s economy as well as the country’s broader social development. The report concluded that in 2017 Acacia contributed US$712 million to the national economy. The 2017 contribution comprised US$200 million from our businesses, an indirect contribution via suppliers of US$304 million and induced contributions of US$208 million. Furthermore, Acacia continues to grow its local staff-base in Tanzania; 97% of our employees are Tanzanian nationals thanks to an 85% reduction in the number of international staff in the past five years. Approximately 70% of our management positions are currently held by Tanzanians. Meanwhile in 2018 Acacia progressed a number of strategies within its Supply Chain function with a view to further increasing its annual spend with Tanzanian-owned businesses. Acacia has always maintained a policy of sourcing from local suppliers first, where viable, and the plans form part of our continued efforts to grow our annual local spend. Based on our current plans, we expect that by early 2019 we will achieve a further increase in our total annual spend with suppliers that are Tanzanian-owned. This will take the Group’s annual spend with Tanzanian-owned businesses on goods and services – including construction materials, fuel and lubricants, as well as internet and security services – to approximately US$140 million. In Q3 2017, Acacia took the decision to place Bulyanhulu on reduced operations due to the unsustainable losses experienced at the mine due to the inability to export concentrate. During 2018 Acacia took the opportunity to progress essential capital spend of approximately US$7 million, primarily on the process plant, and progressed an optimisation study designed to ensure that when the mine resumes underground mining operations it does so in an optimised manner and reaches its full long term potential. The study work has progressed well during the year and the current stage is on track to be fully completed by the end of Q1 2019. Management has received favourable indications from the study’s provisional outcomes with the future focus likely to be on mining the higher grade ore in the deep west area to achieve higher margin ounces in line with the Company’s focus on free cash generation. In addition, there is likely to be a significant reduction in development requirements as a result of focusing solely on the deep west area. With expected changes to reserves and resources including increases in mined grades, there is also expected to be a reduction in the amount of tonnes required to be mined over any new life of mine plan. Given our historic conversion rate, we have a high level of confidence in the ability to convert resources to reserves through further drilling over the first few years after any resumption of mining operations. Indicative pre-production capital requirements are in the range of US$90-110 million with subsequent development and rehabilitation costs of a further US$30 million. Additional ramp-up costs are expected to total approximately US$20 million comprising sustainable communities initiatives and costs relating to the existing processing plant, recruitment and freight for supplies which would be incurred over a 12-18 month period until first gold production from resumed underground mining operations. It is expected to take approximately two years to ramp up to full production from the underground mine, with an estimated average steady state production rate of 300,000 to 350,000 ounces per year at an AISC of US$700-750/oz. over an indicative life of mine of 18 years. All the current draft estimates are subject to further detailed work on cost and capital estimates, final decisions on recommended options and designs and the schedule for resumption of underground mining, as well as Bulyanhulu’s ability to economically produce and sell gold in concentrate. We expect to be in a position to provide a full update on the Company’s views on the optimisation study findings and recommendations by the end of Q1 2019. A final decision to resume underground mining operations would be dependent on achieving a comprehensive resolution of Bulyanhulu’s disputes with the GoT including the ability to resume concentrate sales. Due to the consistent performance of the gold price in the last three years and current outlook, we have taken the decision to increase the 2018 gold price assumptions supporting our Mineral Reserve calculations. Our Mineral Reserve pricing has increased to US$1,200 per ounce and our Mineral Resource price assumption has been maintained at US$1,400 per ounce. The Group’s Mineral Reserves decreased from 7.5Moz to 5.2Moz of contained gold during the year with exclusive M&I Mineral Resources decreasing from 7.7Moz to 5.6Moz and Inferred Mineral Resources decreasing from 12.2Moz to 10.1Moz. The changes were primarily driven by the provisional outcomes of the optimisation study conducted at Bulyanhulu in conjunction with a comprehensive review of the geological and resource models through the year, including applying tighter drill spacings and enhanced stope optimisation techniques. A focused drilling programme for Bulyanhulu has been designed in conjunction with the optimisation study, targeting the higher value zones and planned to commence after a decision to resume underground mining operations. Given our historic conversion rate, we have a high level of confidence that the planned drilling programme will continue to convert Mineral Resources to Mineral Reserves and mineralised inventory into Mineral Resources. At North Mara, Mineral Reserves decreased by 146koz of contained gold, from 2.3Moz at 2.74 g/t in 2017 to 2.2Moz at 2.59 g/t, primarily driven by mining depletion. As the Nyabirama Open Pit progressed further into the Cut 4 phase, there was significant improvement in reconciliation to the planned production. The application of revised reconciliation factors added 238koz of contained gold to the Mineral Reserves. This supports the strong production that Nyabirama Open Pit is scheduled to deliver in the coming years. The exclusive Mineral Resource at North Mara decreased by 200koz of contained gold to 1.7Moz at 3.10 g/t, mostly due to lower grade material that was removed from the Nyabirama Underground project, and infill drilling that better defined the orebody in preparation for opening new mining fronts at Gokona Underground. At Bulyanhulu, underground Mineral Reserves decreased by 1.9Moz of contained gold, with the underground Mineral Reserve now amounting to 2.6Moz at 10.70 g/t compared to the previously stated 4.5Moz at 9.70 g/t. The change was driven by a comprehensive review through the year involving detailed review and validation of data, review and refinement of the geological and mineral resource models, and mine scheduling and planning work through the optimisation study, resulting in the re-classification of 2.23Moz of material from Mineral Reserves to Mineral Resources, and was partially offset by the refining of block modelling practices which added 249koz of material to Mineral Reserves. This was part of the rigorous optimisation study that is seeking to identify the optimal designs and methods to resume underground mining operations at Bulyanhulu as a robust and sustainable business. 4Moz of marginal Mineral Resource was reclassified as mineralised inventory due to the revised approach and refinement of the Resource Model, leading to revised exclusive Mineral Resources of 7.8Moz at 10.58 g/t. This revised approach establishes a baseline that will drive a programme of disciplined and focused drilling targeting the higher value zones to continue to convert Mineral Resources to Mineral Reserves in the future. The Tailings Mineral Reserve decreased by 68koz to 107koz at 1.23 g/t due to mining depletion. At Buzwagi, Mineral Reserves declined from 421koz of contained gold at 0.92 g/t to 308koz contained gold at 0.90 g/t, as lower grade stockpile processing continued in 2018. The last mining activities of higher grade areas in the open pit were completed in January 2019 (during 2018, these activities added 19koz beyond original expectations). Overall the exclusive Mineral Resources at Buzwagi remained unchanged. At our exploration properties the Mineral Resources remained flat. However, the 50% interest in Tankoro, and 85% interest at Nyanzaga are both part of sale processes; which were still pending as at 31 December 2018. On finalisation of the transactions, the quoted Mineral Resources for those two properties will be removed. At the end of the reporting period, there remained a number of potential triggers for impairment testing, including the on-going uncertainty surrounding a potential resolution of the Company’s disputes with the Government of Tanzania, the optimisation study and updating of the geological and resource models at Bulyanhulu, and the fact that the Company’s market capitalisation has been lower than its carrying values during the current reporting period. As a result, the Group has undertaken a carrying value assessment of its affected cash generating units (“CGUs”) and long life intangible assets. Using Management’s best information, including current understanding of the principles of the framework reached between Barrick and the GoT in October 2017, the carrying values of all our assets are still below the Company’s view of their recoverable values at discount rates consistent with the prior year’s impairment testing processes. Further information on the carrying value review as at year end 2018 can be found in Note 6 to the condensed consolidated financial information. The net indirect tax receivables balance increased for the year from US$170.7 million at 31 December 2017 to US$178.7 million at 31 December 2018. The increase was driven by a further US$54.3 million of VAT outflows, net of adjustments, for which no cash VAT refunds were received and the part reversal of prior discounting provisions of US$0.6 million, offset by the full year provisional corporate tax payments relating to North Mara of US$38.2 million, as well as a final 2017 corporate tax payment of US$4.2 million and foreign exchange revaluation losses of US$4.5 million. The provisional corporate tax payments have been offset against indirect tax receivables in line with an existing agreement with the Tanzanian Revenue Authority, resulting in a net cash impact of US$11.9 million. As previously disclosed, Tanzania’s new mining legislation includes an Amendment to the VAT Act 2015 to the effect that no input tax credit can be claimed for the exportation of “raw minerals”, with effect from 20 July 2017. Bulyanhulu, Buzwagi and North Mara have each received notices from the Tanzania Revenue Authority that they are not eligible for any VAT relief from July 2017 onwards on the basis that all production (both doré and concentrate) constitutes “raw minerals” for this purpose. The total VAT claims submitted since July 2017 amount to approximately US$89 million. We have disputed this interpretation of the legislation as a matter of Tanzanian law, while this is also a matter that is in contravention of the relevant terms of our Mineral Development Agreements with the GoT and subject to our on-going disputes with the GoT. On 6 September 2018, the Tanzanian Fair Competition Commission (“FCC”) granted its approval for OreCorp Tanzania Limited (OreCorp Tanzania) to increase its interest in Nyanzaga Mining Company Limited (“NMCL”) to 51%. This move remains subject to: (i) the approval of the newly established Mining Commission, the application for which was lodged at the same time as the application for FCC approval; and (ii) the future payment of US$3 million to the Acacia Group. Members of the OreCorp Group also entered into a completion agreement with Acacia and other members of the Acacia Group to allow OreCorp Tanzania to move to 100% ownership of NMCL, and thereby 100% ownership of the Nyanzaga Gold Project (Project). This move remains subject to: (i) the Tanzanian regulatory approvals referred to above; (ii) the grant of the Special Mining Licence (SML) in respect of the Project; and (iii) the making of a future payment of US$7 million to the Acacia Group. Following completion Acacia will retain a net smelter return production royalty over the Project, capped at US$15 million. During the fourth quarter of 2018 Acacia signed a binding conditional agreement with its partner, Sarama Resources Ltd. (TSX-V: SWA), to terminate the earn-in agreement in respect of the South Houndé Project in south-western Burkina Faso. The termination of the earn-in agreement is conditional on definitive documentation being agreed by the parties before April 30, 2019. Acacia’s divestment of South Houndé fits with the Company’s strategy of divesting certain non-core assets as part of an on-going review of its exploration portfolio. Acacia remains committed to exploration in Burkina Faso with various earn-in agreements still active and which provide exposure to approximately 2,000 km² of the prospective Houndé Belt. As announced in February 2018, in response to a number of indicative expressions of interest to Acacia from Chinese companies, the Company engaged with a small number of parties to explore the potential sale of a stake in one or more of its Tanzanian assets. 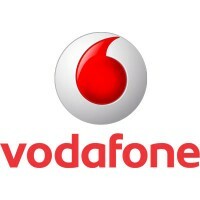 The timetable and successful completion of any discussions in relation to any such transaction are likely to be inextricably linked to the Company’s ability to reach a comprehensive agreement with the GoT in order to settle historic disputes and provide a stable future operating environment. As a result of the continuing inability to export concentrates following the imposition of the concentrate export ban in 2017, the uncertainty around the on-going resolution of the Company’s dispute with the GoT and current liquidity requirements, the Board of Directors has not recommended a dividend for 2018. 1 These are non-IFRS financial performance measures with no standard meaning under IFRS. Refer to “Non IFRS measures” on page 35 for definitions. 2 Reflect the London PM fix price. 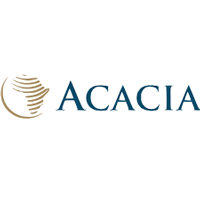 Acacia Mining plc (LON:ACA) is the UK holding company of the Acacia Group, Tanzania’s largest gold miner and one of the largest producers of gold in Africa. The Acacia Group has three mines, all located in north-west Tanzania: Bulyanhulu, which is owned and operated by Bulyanhulu Gold Mine Limited, Buzwagi, which is owned and operated by Pangea Minerals Limited and North Mara, which is owned and operated by North Mara Gold Mine Limited.